When last did you hear the saying that “everything has its time”? And that is exactly what we have been witnessing in the tech industries especially when it pertains to annual mobile smartphone designs. In 2017 and early 2018, different smartphone OEM thought of tweaking the design of their smartphones and they did so by deciding to go bezel-less. In 2018 most OEM keyed into the bezel-less devices and it immediately became the talk of town as demand for such devices tripled. Still in 2018 as if that was not enough, other OEM still decided to go for additional design tweaks on their devices and those actions quickly lead to the notched devices, and immediately the notches began to arrive, the craze for bezel-less device began to shift towards the notched. And towards the end of 2018, virtually most OEM and smartphone consumers were all speaking in the same “notch” voices as demands for such devices also skyrocketed and as they were been manufactured and delivered to the mobile markets across the globe. But as we all believe that change remains the only constant thing, this is 2019 and we can categorically tell you that the notch design will go obsolete and another design tweak will quickly take over. And your guesses are good as mine as 2019 will almost completely take away the words bezel-less and notch design from the mouth of smartphone users and replace them with “foldable”. The signs are already glaring and many OEM have indicated interest in keying into the foldable device design. 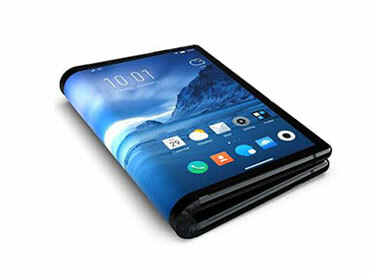 It is no longer hearsay that the foldable devices are upcoming, in fact they are upon us and as we write this, the first foldable smartphones have already taken its place in the Chinese market by a not familiar manufacturer called Royole. And the company has now been credited as the first OEM to release a foldable phone tagged as the Royole FlexPai. The Royole FlexPai being the first device to handle such complex foldable design, you shouldn’t expect it to come out even near excellent design with smooth software handling, but in a rather messed up way, and that is exactly what is currently obtainable with the Royole FlexPai. The device finds it difficult to handle software when folded as to when unfolded, and again, it becomes unnecessarily bulky in folded position, and you will also witness host of other anomalies on the devices and that will definitely need more tweaks to get things right. Aside from the Royole manufacturer, other well-known OEM have also hinted on foldable device and in fact we are expecting to see many announcement from them in the upcoming 2019 Mobile World Congress (MWC) slated for next month in its usual Barcelona venue. Notable among the manufacturers that will likely be coming up with their foldable phone design are Samsung, which have been teasing with the Galaxy F (fold) device, Xiaomi is also among the list that we should be expecting a foldable device from. Others are Motorola, LG, Sony and Oppo. There have been series of rumours making the round that those OEMs have foldable devices in the making. Everything is clearly pointing to the fact that this time around, we might be witnessing a fiercer competition as never imagined.